If I had to name one of the best things about a recent trip to the spa, it was the delicious cucumber-lemon water they served. The crisp freshness of a cucumber and the zesty tartness of a lemon tasted so… clean. That’s the taste you get with this Cucumber Lemon Gin and Tonic. But even better, because gin! I have to tell you guys, this is one of my most favorite cocktails for summer. The cucumber and lemon complements the gin and tonic in the most refreshing way. It tastes like a fancy mojito or lemonade, and is a delicious twist to my Perfect Gin and Tonic Recipe. For more gin and tonic variations, try this fruity Blackberry Lemon Gin and Tonic or for an herbal flavor, this Rosemary Lemon Gin and Tonic. WHAT DO I NEED TO MAKE A CUCUMBER LEMON GIN AND TONIC? Lemon juice, either from a fresh lemon, or just lemon juice from the bottle. Either one works. Tonic water, or club soda if you prefer a milder taste. So first, you need to make cucumber gin. 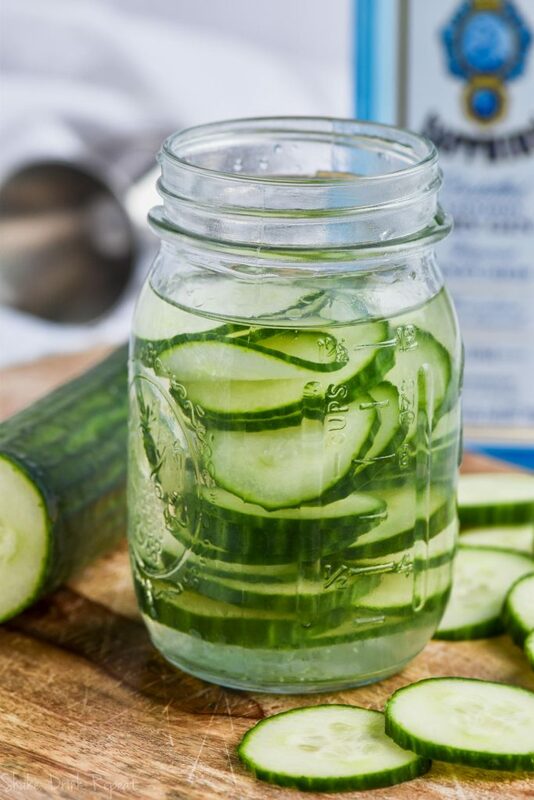 It’s as easy as combining thin slices of fresh cucumber into a cup of fine gin. 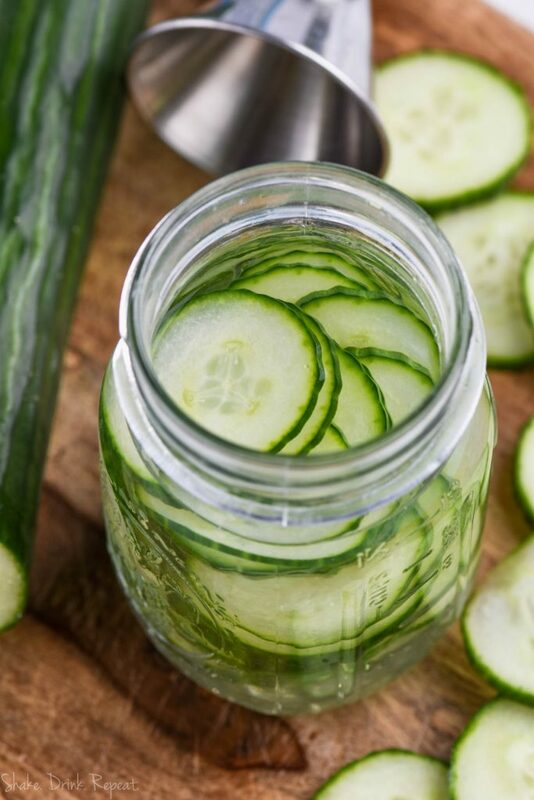 Let the gin soak into the cucumber for at least two hours and up to 24 hours before using. The longer it sits, the stronger the cucumber flavor will be. The rest can be stored in a sealed container in the fridge for up to a week. Once you have your cucumber gin, the rest of this cocktail whips up in no time. 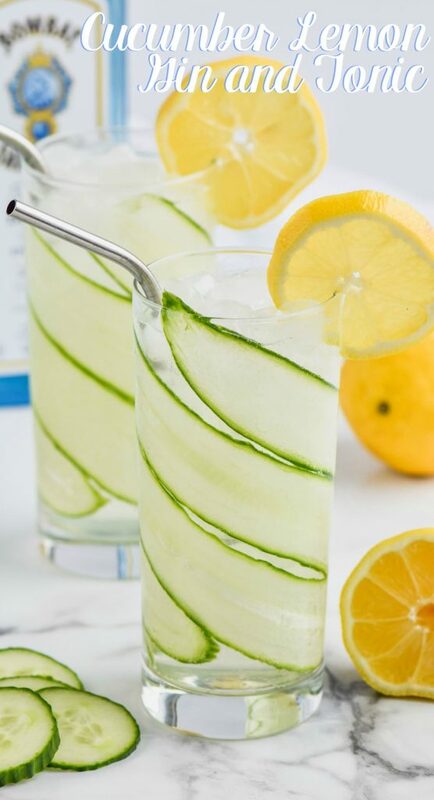 Simply add a tablespoon of fresh lemon juice with the cucumber gin in a tall glass filled with ice. Gently stir a cup of tonic (or club soda if you desire a less sweet cocktail) and CHEERS! 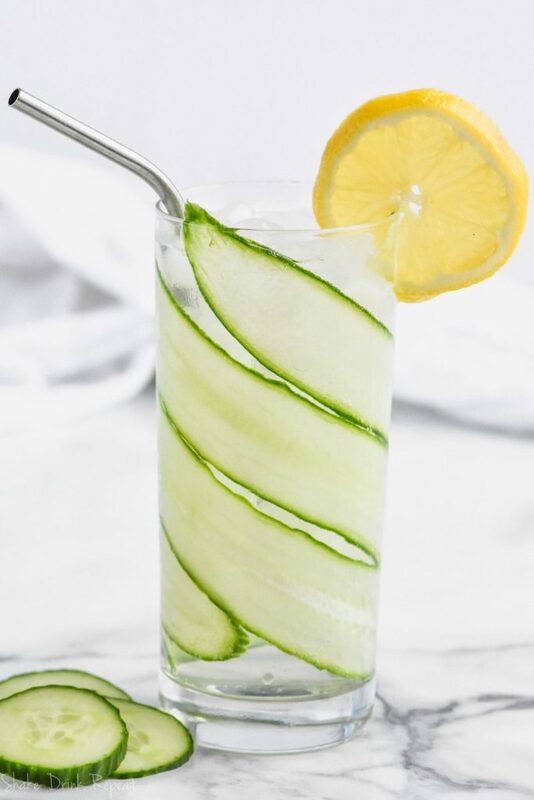 Cucumber cocktails are so refreshing! Try this Cucumber Basil Vodka Gimlet. Or for some funky fun summer cocktails try Blood Orange Margaritas or sweet Beerade. 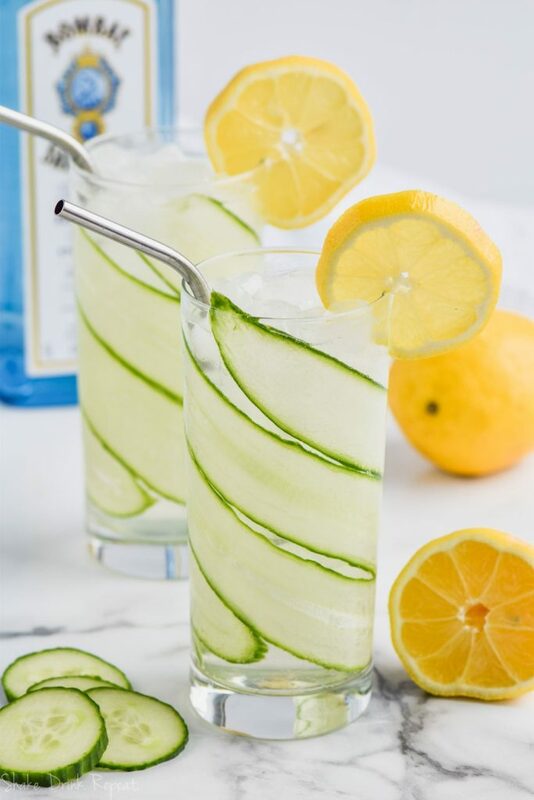 This Cucumber Lemon Gin and Tonic is the perfect combination of flavors! It's light, refreshing, and so delicious! Combine the gin and lemon juice in a tall glass filled with ice. Add the tonic and then stir gently to combine. The cucumber gin will be delicious after 2 hours, but best after 24 hours. Will certainly be using this recipe in the summer, nicely presented in the glass, not sure mine will look as swish, lol . An excellent post, with lovely pictures, thank you for sharing.